tvN is just on a roll aren’t they (or have they always been on a roll? Lol). I am watching yet another currently airing tvN drama called ‘My Secret Hotel’ starring Jin Yi Han, Yoo In Na, and Nam Goongmin. I’m not so sure if anyone else is watching this drama, but I am and I am enjoying it a lot so far. 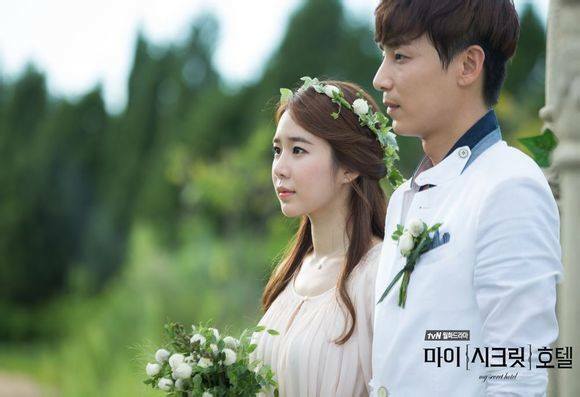 For those who aren’t familiar with the plot, ‘My Secret Hotel’ follows “Nam Sang Hyo (Yoo In Na) and Goo Hae Young (Jin Yi Han) who are a divorced couple. They meet again after seven years when Sang Hyo, a hotel wedding planning manager, has to plan Goo Hae Young’s second wedding. Things get complicated when they get sucked into a murder case in the hotel.” Not your usual plot eh? Prior to watching the drama, I did not have any interest in ‘My Secret Hotel’ whatsoever. Never really cared for Yoo In Na or Nam Goongmin although I’ve heard of them two before while I never cared for Jin Yi Han before because I’ve never knew of his existence before watching ‘My Secret Hotel.’ However, it wasn’t until I was browsing on a favorite blogger of mines, A Koalas Playground, that I began watching the drama because Koala Unnie was recapping the show and you know, Koala doesn’t recap just any drama so I knew I had to check it out. I had a very hard time watching the first episode I finished it in intervals, but then I went straight into watching episode two after and it was with episode two that I got hooked and addicted to the show. There are so many great things about this drama, from the beautiful and breath-taking cinematography to the pleasant and calm music to the great acting by the cast to the intriguing and very mysterious plot that keeps you on your feet and your toes. I think if I had to choose which one of these aspects is keeping me addicted the way I absolutely am, I would have to say the acting by the cast members, particularly Yoo In Na and Jin Yi Han. I’ve only seen Yoo In Na in ‘Queen In-hyun’s Man’ and I thought she did a solid job in that drama. In ‘My Secret Hotel’ she’s doing yet another very great job in portraying her character Sang Hyo and expressing Sang Hyo’s feelings and emotions, especially when she cries over the past that she cannot do anything about or having to pretend like everything’s fine when she reunites with her ex-husband that she still has unresolved feelings for. I love the way that Yoo In Na is able to bring out Sang Hyo’s character and emotions – she does a wonderful job at it. As for Jin Yi Han, this is my first time ever watching him in anything and I am so impressed and surprised with his acting. I love it. I absolutely love it. He too still has feelings for Sang Hyo and it’s just those moments when he wants Sang Hyo to know that he cares about her but he doesn’t want to speak up about it because he’s not sure if Sang Hyo feels the same way that I fall for him and his character. In the drama, he’s not painted out to be this totally very cool and awesome and popular man that other dramas often set their protagonists out to be. Hae Young can rather be rude and straight-forward at times which can be off-putting, but at the end of every episode, I still root so passionately for him because I want the best for him and I want him to have his happy ending…with Sang Hyo. Sang Hyo and Hae Young were once a “married” couple (I put married in quotation marks, because they didn’t get a marriage license), but divorced due to reasons that are still unknown at this point into the drama, but just watching flashbacks and memories of their past love and marriage makes me so happy and sad at the same time because they had such a great thing but had to separate when they probably didn’t want to. In the present after seven years since their divorce, it still seems like they want each other just as bad as they had seven years ago and all of this tension and unresolved feelings and misunderstandings between them causes me to want to know more about their past and causes me to want them to get back together. To fix and clarify any conflicts and for them to have their happy ending with each other that they weren’t able to earlier because of unforeseen circumstances. A huge part of me loves them individually and together as a couple so much because the chemistry between them is just blazing hot and that’s why the OTP in this drama keeps me hanging on and wanting for more. I am left in total awe when they can look each other in the eyes and not have to say a word to one another, but still understand how the other is feeling; They speak and communicate with each other through their eyes and that speaks volumes because you don’t even need to hear them say any dialogue to understand how they feel about each other and their current situation. And I have to give Yoo In Na and Jin Yi Han credit for acting with such strong and powerful emotions that is rare to see from other actors and actresses. Not that I’m not interested in the murder mystery plot or anything because I am and it’s a great catalyst in helping improve Sang Hyo and Hae Young’s broken relationship in that they can work together to solve this mystery, but I am more involved and engaged in the OTP right now and I’m more curious about their back story. As I have expressed many times with other dramas, I hope that the drama does not push out the romance in order to push the mystery to the front and in order for it to become the center of attention for the drama. I rather they balance both. Also, I want to give my condolences to the late screenwriter Kim Ye-ri who had originally wrote the screenplay for episodes one to four, but unfortunately lost her battle to cancer this past March. To take her place is Kim Do-hyun who will finish the rest of the drama by continuing on with episodes 4 to 16. I am not concerned right now that the drama will shift and alter its story line and I am optimistic that it will continue to maintain its awesomeness with all the different aspects I mentioned above. Episodes 1-4 were just so amazing and wonderful and astounding, I commend and applaud Kim Ye-ri for starting ‘My Secret Hotel’ with such intensity but at the same time balancing that intensity with humor and light entertainment. Episode two has got to be one of my most favorite episodes ever in a drama and that says a lot, because I have seen a countless numbers of dramas but episode two of ‘My Secret Hotel’ has got me acting and feeling ways that I’ve never felt before (in a very very very long time). Very seldom do I go back to re-watch an episode or even a drama, but for episode 2, I might just will. If you don’t believe in me and you think I’m speaking non-sense, just watch the two videos I have provided below and you might turn just as crazy as I am within just a few minutes. After watching the two videos, I hope you can now understand why episode two is my favorite episode so far into the drama. The way that Sang Hyo and Hae Young speak about their past, in a third point of view, is so genius and refreshing. Usually in dramas, you just hear the couple talk about their past so freely and expose themselves, but here they close themselves up to talk about their past that still affects them hugely to the very present day. I liked the back and forth switching between Sang Hyo and Hae Young when they were talking to their colleagues about their past and how they both have almost similar thoughts and sentiments towards that sensitive topic. That way we got a glimpse into how they both feel and what they want. And I forgot to mention this, but the most refreshing thing about our OTP is that although they’re divorced, they don’t hold any feelings of hate or resentment towards each other. In fact, they still care about each other and the drama makes the couple seem like they still want to be together which is refreshing and what I exactly want. I’m fed up with divorced couples reuniting and just bickering and arguing and fighting with each other (Cunning Single Lady, I’m glaring at you). Here, Hae Young and Sang Hyo still clearly have feelings towards each other and they still care about each other which is way more stirring and moving and touching and emotional. This drama is doing everything right that other dramas often did wrong. So once again, I commend Kim Ye-ri for having done an amazing job building up the drama and setting it all up. I wouldn’t want it any other way. 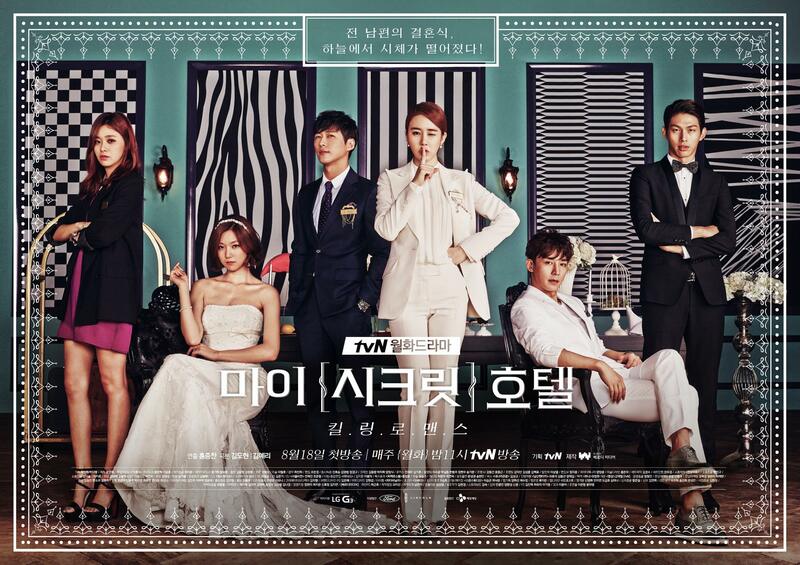 Overall, I am enjoying ‘My Secret Hotel’ (thanks to Koala Unnie who got me interested in this drama in the first place!). I am now addicted and anticipating the future episodes. We all know that anyone can be the murderer so I wouldn’t be surprised if the person that we least expect to be murderer is the murderer (it’s always like that). Anyways, if you haven’t watched the drama yet, I suggest you do! It might take you until episode two to get settled in, but once you settle down and you relax, I bet you’ll be enjoying this journey of solving the murder and conflicts to Sang Hyo and Hae Young’s past relationship just as much as I am!